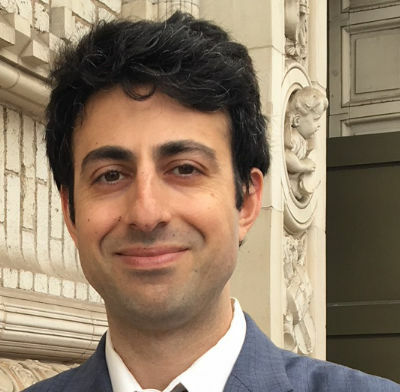 Cyrus Joubin is Of Counsel at Handley Farah & Anderson. Mr. Joubin primarily litigates claims alleging police misconduct, and he has devoted much of his legal career to vindicating the constitutional rights of people falsely arrested, maliciously prosecuted, and physically abused by police officers. Mr. Joubin has litigated a broad range of police misconduct cases. He has pursued claims alleging that his clients were wrongly arrested or prosecuted without probable cause. He has filed lawsuits alleging that police officer used excessive and unreasonable force against his clients, severely injuring them. He has pursued claims alleging that police officers conduced unlawful searches and seizures of his clients and their homes. He has filed claims alleging that police officers fabricated evidence or failed to disclose exculpatory information. In these and other lawsuits, Mr. Joubin has exposed unconstitutional police practices and secured substantial compensation for people injured by them. Mr. Joubin serves on the Assigned Counsel Plan for the First Department, representing indigent defendants in New York County Criminal Court. In that position, he has litigated thousands of cases in criminal court. Mr. Joubin also proudly represents clients on a pro bono basis in a variety of matters. In 2013, the New York State Courts’ Access to Justice Program recognized Mr. Joubin for his pro bono work defending individuals sued by credit card companies. Proficient in Spanish, he has also represented numerous clients facing adverse immigration consequences due to pending criminal charges. Mr. Joubin previously worked as a staff attorney for the Neighborhood Defender Service of Harlem, one of the most prestigious public defender offices in the country. At the Neighborhood Defender Service, Mr. Joubin developed his skills as a trial lawyer and observed firsthand the injustices pervading the criminal justice system. Mr. Joubin obtained his undergraduate degree from Columbia College, where he was elected to Phi Beta Kappa and served as captain of the Men’s Squash Team. He obtained his law degree from Columbia Law School, where he was a Greer Public Service Fellow, an editor for the Journal of East European Law, and a coach for high school moot court competitions. Mr. Joubin lives in Brooklyn, New York with his wife and daughter.